Just Listed :: Gorgeous Traditional in High Point! A wonderful place to call home! Nestled on a great street in the extremely popular High Point area, this home offers living at its finest. The floor plan, custom features, and charming character of this home will never go out of style. 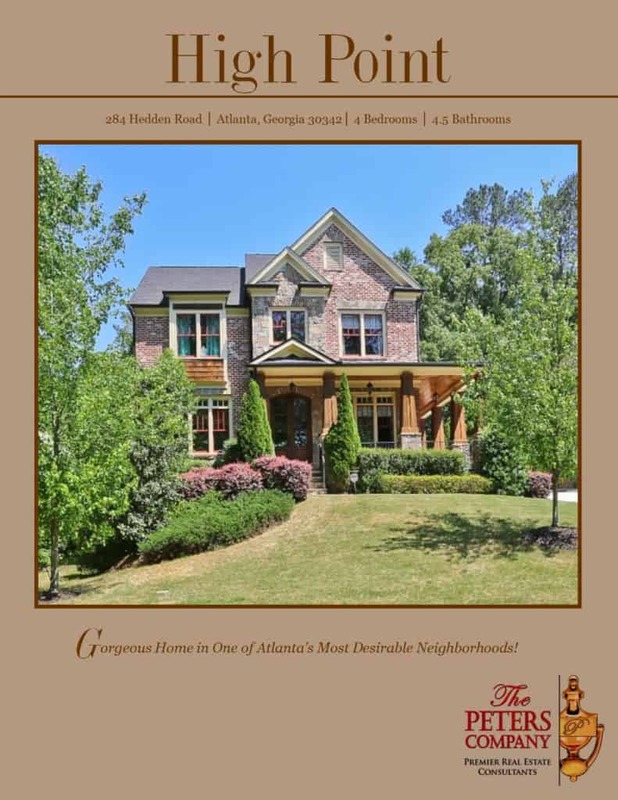 You will love being close to all that Buckhead and Sandy Springs have to offer with easy access to the highways, byways, shopping, and restaurants that make this area such a well-loved destination. Not to mention that you’ll be only minutes from the highly anticipated new Sandy Springs Gateway development! · A wrap around front porch provides an inviting welcome and wonderful curb appeal. No details were missed with the gorgeous stone and wood work. · The foyer greets you with rich hardwood floors and an open invitation to the formal living room and dining room on either side. · The formal living room is a wonderful additional living space. It could also be used as a playroom or home office if you don’t need a formal space. · The family room is complete with a cozy gas starter fireplace with gorgeous stone surround. · The separate formal dining room is perfect hosting dinner parties and entertaining guests. · The gourmet kitchen features top of the line stainless steel appliances, granite countertops, tile backsplash, oversized breakfast bar, pantry, and spacious breakfast area. · A powder room on the main level is ideal for guests. · The master suite is a true retreat including a beautiful trey ceiling, sitting area with dual sided fireplace, and a large walk-in closet with custom shelving. · The spa-like master bath features a double vanity with granite countertop, luxurious jetted tub with fireplace view, and separate walk-in shower. · A covered patio off the master suite will quickly become a favorite relaxation spot. · All additional bedrooms are well-sized and bright with ample closet space and private bathrooms. · The fully finished basement includes additional living space, a full bathroom, separate room that could be used as a possible 5th bedroom or home office, wine cellar, and built-in bar with wine refrigerator, icemaker, and dishwasher. · The two car garage easily fits your vehicles along with additional storage space. · The covered patio just off the family room overlooks a serene backyard and is the perfect spot for outdoor enjoyment and entertaining. · Other amazing features include whole house audio, central vacuum system, recessed lighting, extra tall ceilings, beautiful molding and trim work, and much more! ← Just Listed :: Charming Split Level in Smyrna!